These bracers have a flattering shape. When laced up they come to a point at the forearm. These bracers are tough and durable, and they are made from 13/15 oz. 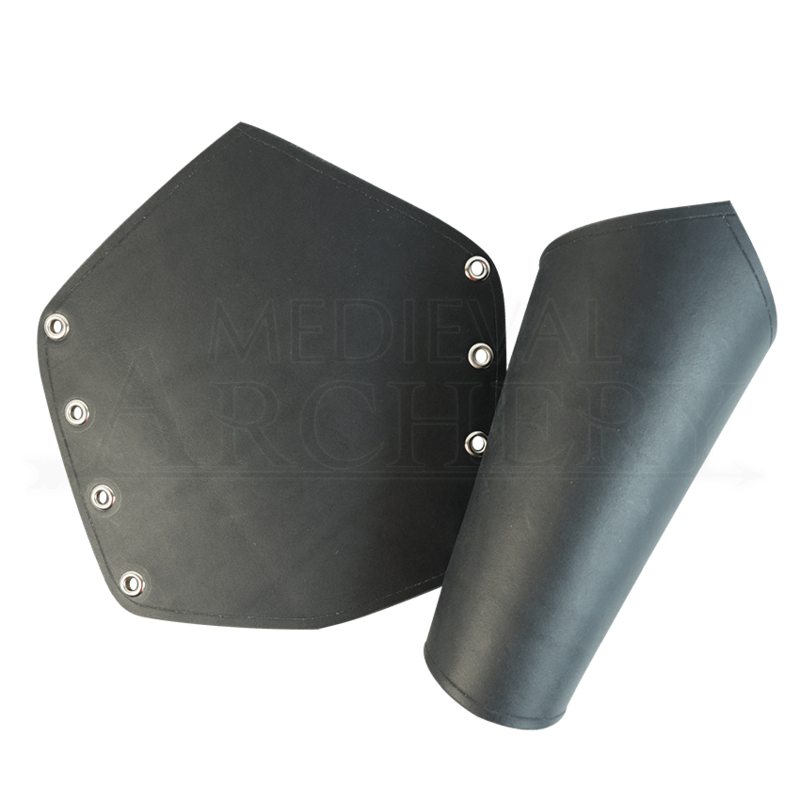 heavy armour grade leather. These are great for SCA events and re-enactments. The bracers lace up in the back and come with extra long leather laces. The bracers come in a variety of different colors.